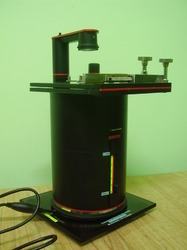 We are supplying Table Top Low Voltage Transmission Electron Microscope from Delong Corporation, Canada. These products are highly demanded and available in cost effectual rates. 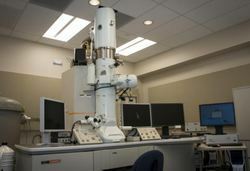 The Philips CM200 TEM is a high resolution Transmission Electron Microscope capable of operating up to 200kV. It has a full cryo setup with an EDAX EDS system and Gatan 678 Image Filter and P/EELS, and Gatan 832 SC1000 CCD camera, allowing for full imaging and analytical capability.